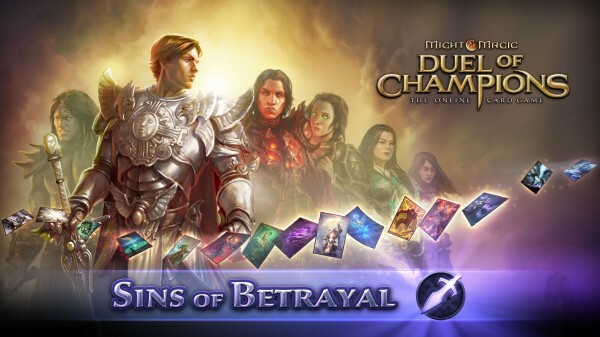 Sins of Betrayal is now the 7th expansion in Might & Magic Duels of Champions, which includes 100 new cards with 6 new hero cards and new game play mechanics. For those of you who don’t know what Duels of Champions is, it’s a online card game with a free to play payment style that takes influences from other popular card games like Magic the Gathering and HearthStone and mixes them into a unique card game experience. While Sins of Betrayal doesn’t add any new game mechanics like the stacking feature introduced in the last s eries Griffen Bane, it does offer new cards that will allow you to use old mechanics in a much more effective way. 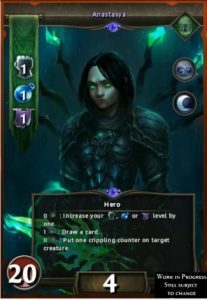 Not all of the new heroes necessarily have new unique powers to take advantage of, but each of them offers a new combination between different magic and faction cards to work together that previously could not with certain factions. Sins of Betrayal at launch feels like more of a smaller set expansion that offers cards that should help bring more balance between different factions. The launch of the expansion also included a fairly big patch which included a new game mechanic that changes the way each game starts by adding more of a advantage to the player who goes 2nd in a game. The patch also included several balancing changes to cards from previous series’s. Currently Sins of Betrayal booster packs are only available with in-game currency that is paid for by actual money, but that’s not really anything new. Might & Magic Duels of Champions usually only allows you to purchase booster packs of a set that has been out for at least a month or two. Generally after a month or so after the release of a new expansion you’ll be allowed to use the in-game currency coins, which are earned by playing the game, to purchase the new packs. Currently Might & Magic Duels of Champions is only available on iOS, PC, Xbox360, and PS3. Keeping our fingers crossed for a Android version to be released in the near future. 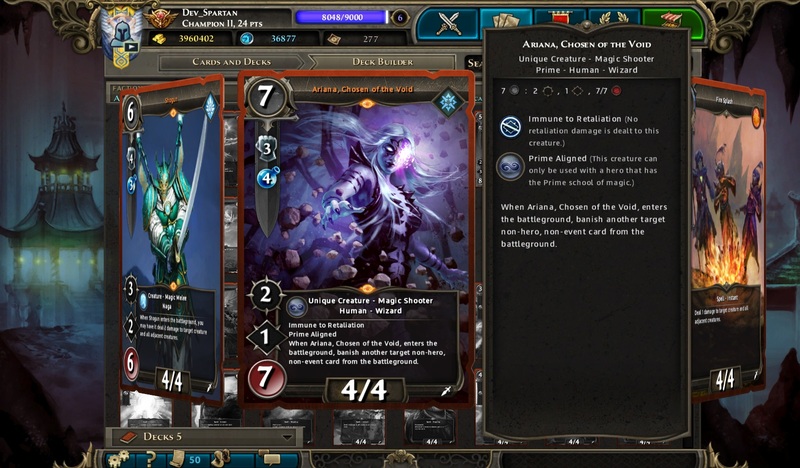 Might & Magic Duels of Champions is free to download, with optional in-app purchases. The download runs currently at 353MB and is compatible with iOS 6.0 and later. Feel free to leave any questions or comments regarding the new expansion. You can also like our Facebook page, follow us on Twitter, and add us to your circles in Google+ to keep yourself up to date on all things mobile.